If you thought Hispanic millennials were just like regular millennials, think again. 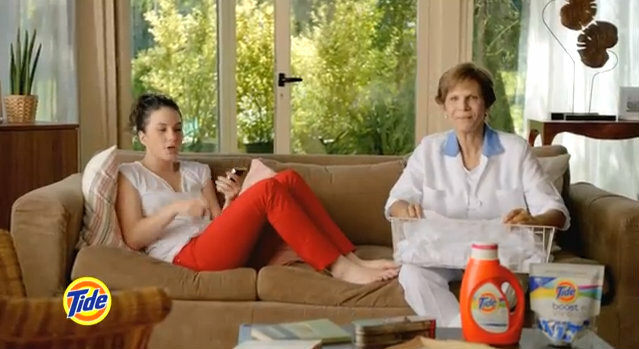 All I can tell you right now is that the Tide abuela has a better command of Spanish than this other P&G abuela. This entry was posted in Cuba, Cuban-Americans in Miami, Language, Marketing & Advertising, You Tube and tagged Millennials, Tide Boost, Tide Vivid. Bookmark the permalink.